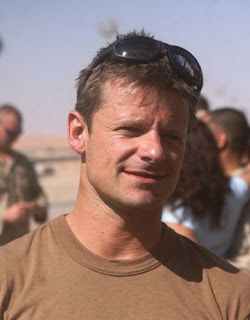 Steven James “Steve” Zahn (born November 13, 1967) is an American comedian and actor of both film and stage. He has appeared in many films, and could be considered to be typecast into the role of a goofy comic relief sidekick. Zahn was born in Marshall, Minnesota, the son of Zelda Clair (née Gades), who worked for the YMCA, and Carleton Edward Zahn, a retired Lutheran pastor.Zahn spent part of his childhood in Mankato, Minnesota, attending Kennedy Elementary School. After attending Robbinsdale Cooper High School, Gustavus Adolphus College and the Institute for Advanced Theatre Training at American Repertory Theater at Harvard University, his first professional acting role was in Biloxi Blues, a Minnesota production at the Old Log Theater; but his first big break came in 1994, when he was noticed by Ben Stiller, who cast him in his picture, Reality Bites. Zahn with Jennifer Aniston at the premiere of the movie Management which he acted in.Zahn’s early roles were split between movies, touring companies of Broadway shows, and TV shows. In 1992-1993, he toured as Hugo with the Barry Weissler production of Bye Bye Birdie with Tommy Tune, Ann Reinking, and Marc Kudisch. He played Phoebe Buffay’s husband Duncan in a 1995 episode of Friends. Zahn appeared in several films in the mid-1990s, including Tom Hanks’ That Thing You Do! These films garnered him enough respect that he was offered the starring role in the critically-acclaimed indie film Happy, Texas (1999). Some of Zahn’s most popular movies have been his most recent ones, including National Security (2003), Daddy Day Care (2003) and Sahara. Zahn received his strongest critical acclaim for his performance in Riding in Cars with Boys, in which he co-starred with Drew Barrymore as her dim-witted, drug addicted husband. Roger Ebert, Richard Roeper and the BBC stated that the performance was deserving of an Oscar nomination. He also voiced Runt of the Litter in Chicken Little. He recently gave dramatic performances in Rescue Dawn and the television mini-series Comanche Moon. Zahn is an avid fly fisherman, and he owns a farm in Lexington, Kentucky. Zahn is married to Robyn Peterman, an actress and the daughter of John Peterman, whom Zahn met on a touring production of Bye Bye Birdie. The two have a son, Henry James Zahn (born 3 April 2000 in New York), and a daughter, Audrey. In 2004, the family moved from New Jersey to a small horse farm in Georgetown, Kentucky, near Lexington, Kentucky, his wife’s hometown. He is very close friends with Tom Everett Scott, his costar in That Thing You Do, and was the best man at Scott’s wedding.